Anxiety is a normal part of life. It is a necessary part of life. For example, it is good to have a little anxiety about crossing the street because it makes you stop and take the precaution of looking both ways before you cross. It is normal to have a little anxiety before taking a test because it motivates you to study. For most people, these moments of anxiety pass quickly. However, for some people the experience of anxiety is long- lasting and severe. When anxiety intensifies in that way, it begins to affect the ability to function normally in daily life. What makes some people more anxious than others? People often don’t realize that the physical discomfort they are feeling can be directly related to anxiety. 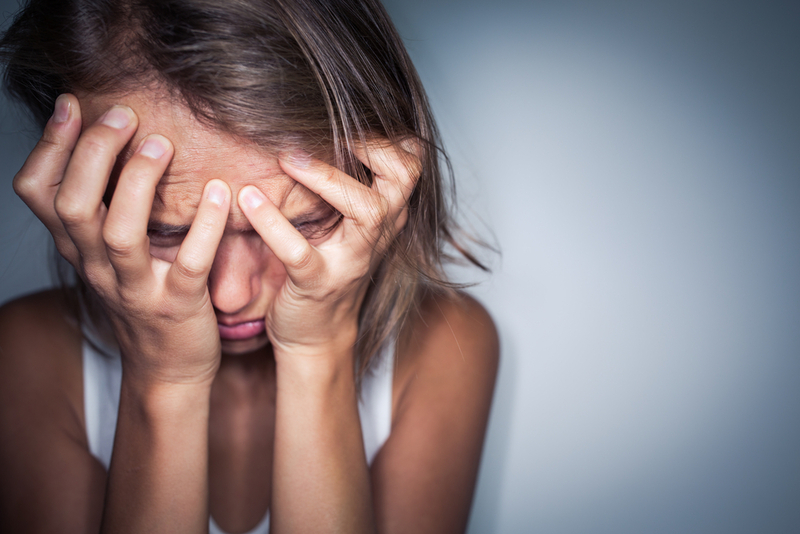 Anxiety can cause extreme reactions in our body. For example, it is not uncommon for people to go to the emergency room feeling like they are having a heart attack, when really they are suffering from a panic attack. Often, people notice their physical symptoms before they notice their emotional symptoms. Obsessive-Compulsive Disorder (OCD) – Characterized by using repetitive behaviors (such as hand washing) to manage anxiety related to persistent thoughts or images (such as fear of germs and/or getting sick). Fear and anxiety are similar in that they both activate natural survival mechanisms of the body. When someone is in danger, their body reacts automatically to the threat. For example, if a tiger walked into your house, your body would immediately respond. Your senses would become heightened and your muscles would constrict so that you can either fight against the tiger or run away from it. This “fight” or “flight” reaction is a powerful coping mechanism that can help us survive in life or death situations. Unfortunately, when this same fight or flight response gets activated in response to anxiety, it can cause a lot of suffering. Anxiety is probably THE most uncomfortable emotion. People are often willing to do anything to get the terrible feeling of anxiety to go away. They avoid situations that make them anxious. This can make it difficult to go to social functions, school, or even work. It can make the daily tasks of life feel overwhelming. Many people misuse substances to reduce physical symptoms related to anxiety, and then find that they become dependent on the substances in an unhealthy way. Another common response to anxiety is to become anxious about being anxious. People often worry about the physical reactions that occur in their body in response to anxiety. For example, one might worry that if they feel nervous, they will sweat. Then they worry about the embarrassment of sweating in public, and therefore they now have double worries. You can see how anxiety has a way of mushrooming out of control. What are some ways to help manage anxiety right now? The first thing I assess when a client comes to me with symptoms of anxiety is potential lifestyle issues. It is not uncommon when dealing with anxiety to get into a pattern of sleeplessness, emotional eating, and other unhealthy behaviors. One of the first things you can do to help manage anxiety is to make sure that you are taking good care of yourself. It may sounds simple, but it is extremely helpful. Get 8 hours of sleep at night. Even if you have trouble sleeping, make sure to set up a routine that allows you to have 8 hours of rest each night. Have a dedicated bed time and relaxation routine each evening. Eat 3 healthy meals a day – Make sure that you eat at regular intervals and that you are getting balanced nutrition including protein, vegetables, and healthy grains. Reduce sugar intake – High blood sugar can aggravate symptoms of anxiety. Limit caffeine – I recommend only 1 cup of coffee per day in the morning. Caffeine can aggravate symptoms of anxiety. No alcoholic beverages or other drugs – Even though drugs and alcohol provide some relief from anxiety, with continued use, they actually increase anxiety over time. Exercise – While an hour at the gym 3 times a week is great, often that feels impossible to implement. If you feel your anxiety start to rise, just doing 5 minutes of cardio can reduce symptoms. Do simple things that you can do anywhere like jumping jacks, running in place, high knees, go up and down the stairs, or take a walk around the block. If some simple life-style changes do not reduce or alleviate your anxiety symptoms, therapy can help. Therapy is often necessary, particularly when the anxiety is caused by unresolved trauma, grief, or family conflicts. It is important to address the root cause of the anxiety in order to fully alleviate the symptoms. A therapist can also teach coping skills to manage persistent feelings of anxiety which are not managed by lifestyle changes.